Istanbul Ottoman Relics tour Be witness of Ottoman sultans life on this 3-hour sightseeing tour. Discover Topkapi Palace and Sultans Graves! Be witness of Ottoman sultans life on this 3-hour sightseeing tour. Discover Topkapi Palace and Sultans Graves! Hear the story about rich and powerful sultans and mysterious stories about the Palace. 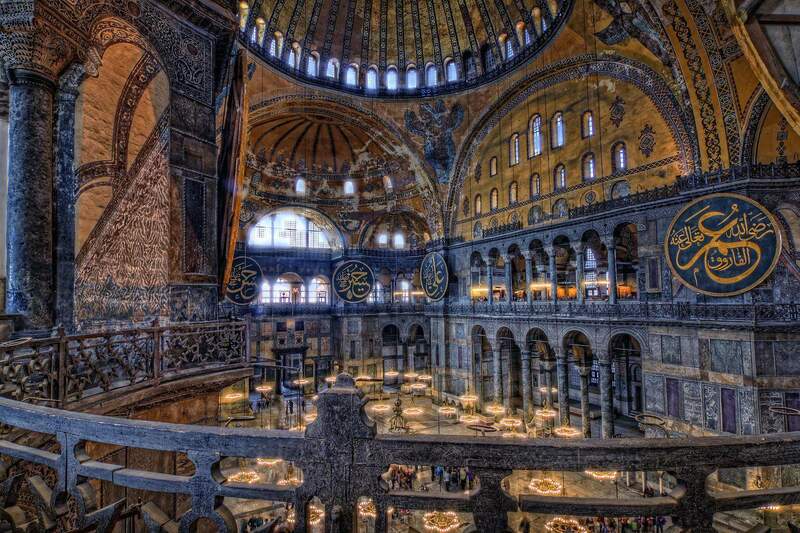 Finish with a visit to the Hagia Sophia where five sultans are buried. Topkapi Palace is an extraordinary and secret palace. It is the largest palace in Istanbul and also it was primary residence of the Ottoman sultans for approximately 400 years. The building is a typical example of Ottoman architecture and the rooms contain rich collections of porcelains, robes, weapons, shields, armors, Islamic calligraphic manuscripts and Ottoman treasures. Grand Bazaar is one of the largest covered markets in the world with 60 streets and 5,000 shops, and attracts between 250,000 and 400,000 visitors daily. Walk through the narrow streets and make some shopping. You can buy some popular things in Grand Bazaar such as silk, spice and jewellery.